Hi, I am Emma Horowitz and I am thrilled to be back for another beautiful summer at Vega as the Logistics Director. 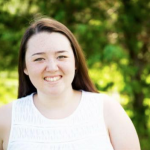 I started at Vega in 2001 as a nine-year-old camper and have since been a landsports counselor, worked on maintenance, and have been the Assistant Program Director for the past three summers. This year, I am excited to transition into my new role and expand on my position and responsibilities at camp. It is truly something amazing to be able to grow with camp and the experiences that come alongside it. When I am not on the move from my White House office down to Echo Lake, I am a High School English Teacher in Old Orchard Beach, Maine. This is my fifth year teaching and my third year living in Maine full time. While I love working with my awesome students during the school year, it is always nice to know that once summer time hits, I am back with the Vega campers that get to experience the same joy I did as a camper for seven summers. Having the opportunity to work with the campers as well as the staff provides a whole new perspective of camp each summer I return, and my love and appreciation for Vega seems to deepen with it. While some of the faces and smiles change summer to summer, the values and traditions of Vega seem to stay true, and I can’t wait to continue to contribute to them. So here’s to lucky summer 13 and I am sure, the best one yet! Hi! 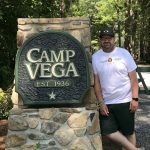 My name is Richard Askey from Chichester, England and this will be my first summer working at Camp Vega as the Office Manager. 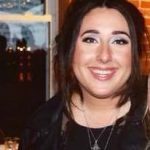 During the off season I work as a Marketing and Communications Manager. This summer you will find me in the white house in my office or around camp with my camera. I’m really looking forward to my first full summer at Vega, meeting everyone and enjoying cookouts by the lake. Hi everyone! My name is Leighanna and I could not be more excited for summer 2019 at Camp Vega! I am going to be serving as an office staff member this summer! Though this is my first summer at Camp Vega, I am no stranger to summer camp. I grew up going to a sleep away camp and could not have loved my time there more- it was definitely my favorite place to be! I am from the Washington D.C. Metro area but spend most of the year in Tampa, Florida. I am studying elementary education at The University of Tampa and cannot wait to graduate soon and start my career as a teacher. In my free time I enjoy reading in my hammock, watching movies, and, of course, camping! Check back soon for more 2019 staff!